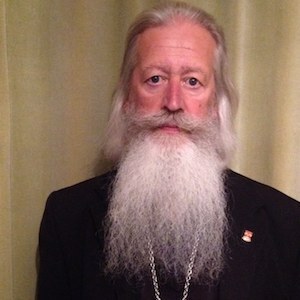 A non-stipendiary cleric of the Russian Orthodox Church for 36 years, Daniel Joseph has worked in education at all levels for 46 years. As a schoolteacher, he taught general science, and biology; and had extensive pastoral responsibility. In this latter connection, he took the Nottingham University Med in Human Relations. His chief interest throughout the last 51 years has been philosophy, especially philosophy of religion. Daniel studied under Professor AGN Flew during his first degree; and then Professor RG Swinburne supervised his MA by thesis in the philosophy of religious experience (Keele 1978). Daniel’s position, which has evolved over many years, could be described as ‘Christian existentialist inductive realism’, and his work, not least in the UOD Multifaith Centre – where they have a thriving philosophy club, ‘Get Real’ – provides many opportunities for testing and refinement. To Daniel, religion is a risky option whose benefits are best assessed by the committed risktaker. Accordingly, it is never appropriate for religion to be employed as justification for any form of persecution or abuse. His interest in science remains since childhood, and he is a chartered biologist and member of the Royal Society of Biology.